These weedplants exists for 70% out of Indica and for 30% out of Sativa genetics. Kushberry has a medicinal effect against pain, sleeping problems and eating disorders. The cannabis strain has a physical effect and gives a relaxed feeling. Kushberry from DNA Genetics are feminised cannabis seeds that are originated by crossing two famous West Coast flavors, namely the OG Kush x Oregon Blueberry. This has resulted in cannabis plants that contain mainly Indica genetics. This cannabis strain is the winner of the 1st price of the Outdoor Spannabis 2008. 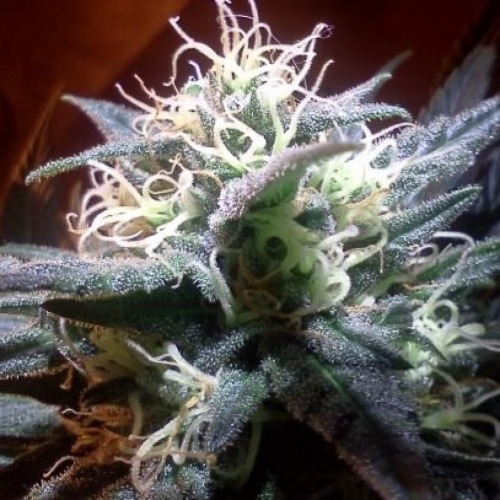 DNA Genetics Kushberry are short cannabis plants that produce a nice yield. The exotic taste and her power ensure that she is one of the strongest cannabis strains that exist. These feminised cannabis seeds are also usable as medical cannabis seeds against relieving pain, insomnia, and eating disorders. This strain is appropriate for an indoor grow and outdoor grow. Smoking this weed has a physical effect and gives you a relaxed feeling. The taste of this strain is light sweet with recognizable the blueberry crossing. Tell us and our customers what you think of the Kushberry from DNA Genetics.